Stoner Bunting recently packed its bags and headed to New York City for the AIA Conference on Architecture 2018. 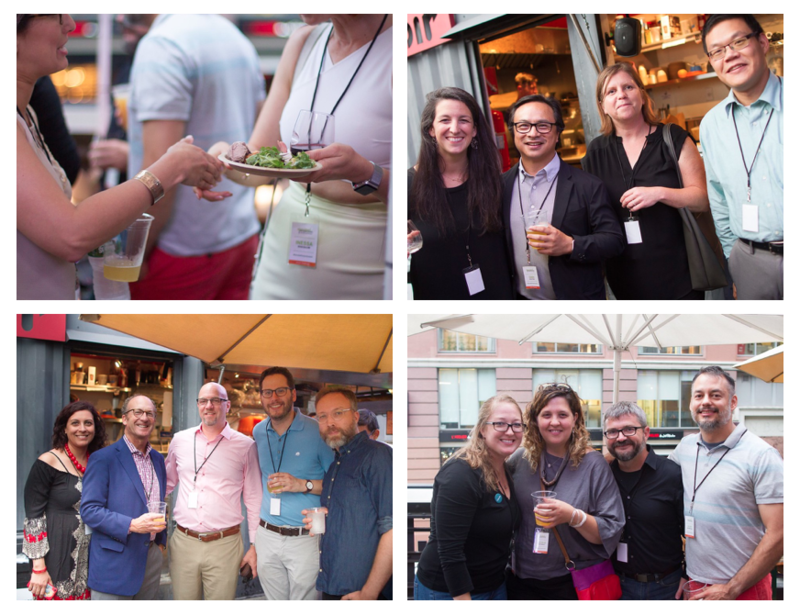 Not only were we supporting clients exhibiting at the show, our agency hosted a very special event on the city’s famous High Line. Dubbed “Elevated Perspectives,” this private tour and dinner brought together architects, designers, editors and clients to toast the start of another AIA – in a unique and special way. After arriving, the group met a special tour guide from Disney, who escorted us from country to country in the park’s “World Showcase.” With four clients from four different countries represented during the tour, we were able to stop and toast to each company and organization’s unique history and heritage. Along the way, guests also learned about our client’s unique products, commitment to manufacturing and design excellence, and had valuable conversations with architects, designers, editors, publishers, brand representatives and important decision makers. These are the relaxed, organic conversations that are impossible to have on a trade show floor. 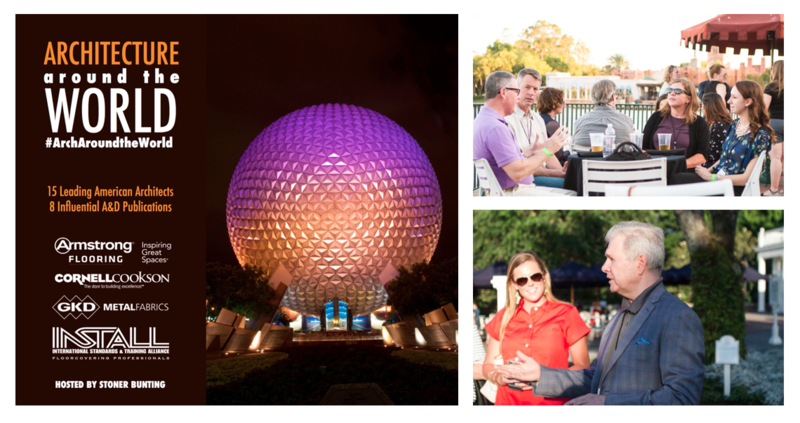 While EPCOT and Walt Disney World offered a fun, festive and downright magical opportunity to connect our clients with specifiers and media, the logistics of navigating New York City would prove to be a challenge. The Stoner Bunting PR began brainstorming off-site events and influencer engagement opportunities as soon as we got off the plane from Orlando in 2017. 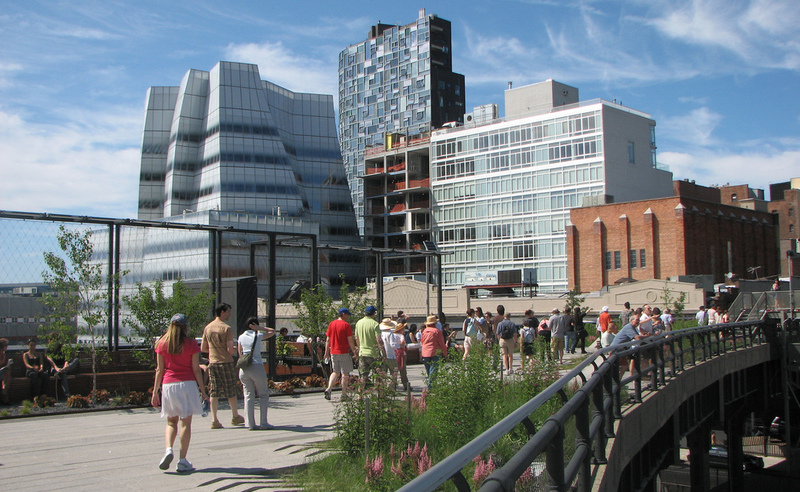 A few months before the show, we made the decision that New York City’s High Line would be the best and most unique place to bring our audiences together in one location. Not only is this linear park a hub of activity in the city’s Meatpacking District, it would offer spectacular views of New York’s newest architectural gems along with lessons in urban planning, gardening and rejuvenation. A nearby watering hole was ideal space to gather pre- and post-event to toast the evening’s festivities, and an intimate restaurant on the High Line was available for a private dinner at the conclusion of the architectural tour. Now that we had a location in mind, it was time to start putting the final touches on the event. This included a name. After several brainstorming sessions we found the perfect fit. 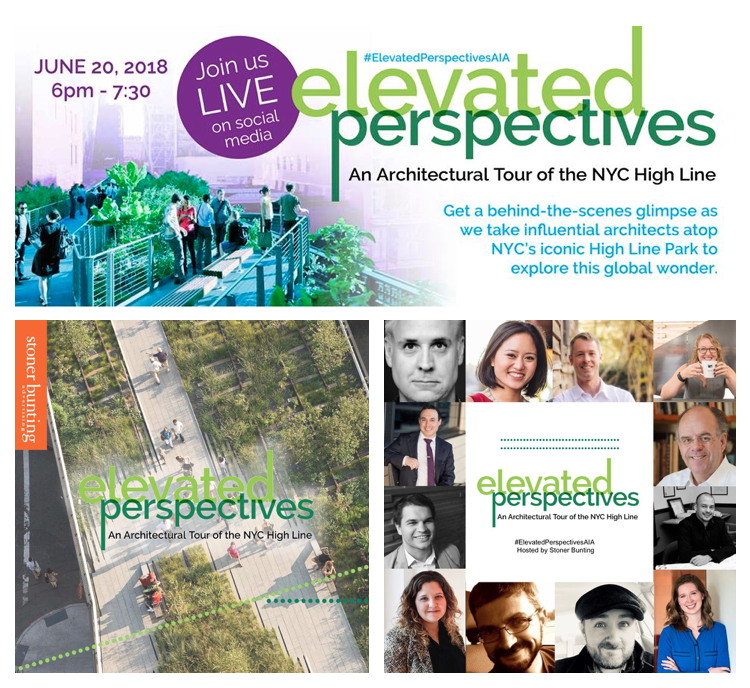 “Elevated Perspectives” not only harkened back to the park’s origins as an elevated rail line, it expressed the unique perspectives on design and construction that our clients, architectural industry friends and media partners share. While Stoner Bunting was facilitating the event, our main goal was to create an opportunity for brands to host the guests, provide the architects and media with sample materials in a swag bag, and have the invaluable opportunity to spend four hours with the country’s leading architects and designers who have a strong presence on social media. Stoner Bunting friends and clients Armstrong Flooring, Masonite, Wilsonart and Wood-Mode all signed on to take part and attend. Stoner Bunting PR team members personally invited industry connections and attendees, and a series of social media posts were developed to tease the event and drive architects and designers to the event registration page. Within a few days of the invitations going out, we received excited responses to attend from more than 30 of our architect, designer and editor friends. Seven client representatives – in addition to the Stoner Bunting PR and Content Creation teams, in tow to facilitate the event and capture images and video for social media and follow-up social media – would join along in the evenings festivities. 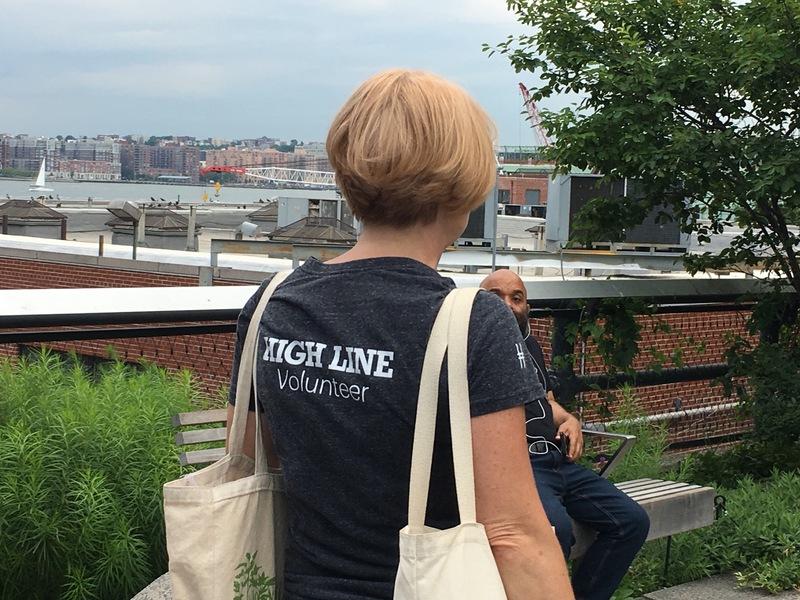 As Elevated Perspectives approached, the team decided that meeting on the High Line, a public park with 5,000,000+ visitors a year, might prove slightly challenging. Therefore, an adjacent beer garden on street level was designated as the meeting location. Not only did this allow guests to have a pre-event cocktail prior to the start of the tour but proved the ideal place for handing out badges and organizing gift bags. It also allowed architects, designers clients and media to get acquainted with each other, say hello to old friends and grab a snack if they were just arriving in NYC for the show. 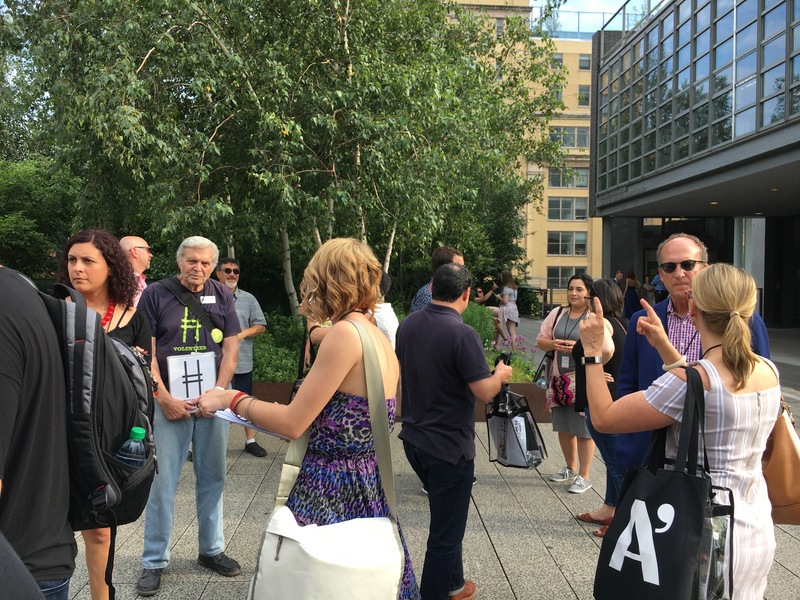 Following the cocktail hour, we walked with guests to the start of the High Line where we were greeted in the shadow of the Whitney Museum by High Line volunteers who served as our tour guides and docents. Split into two groups, headsets were distributed to each attendee to create an intimate tour and best facilitate questions. Along the way, Stoner Bunting content creators captured the tour from their phones and cameras, adding to the event’s social media story carrying out on Instagram, Facebook and Twitter under the hashtag #ElevatedPerspectivesAIA as well as on participating brand’s social media channels. 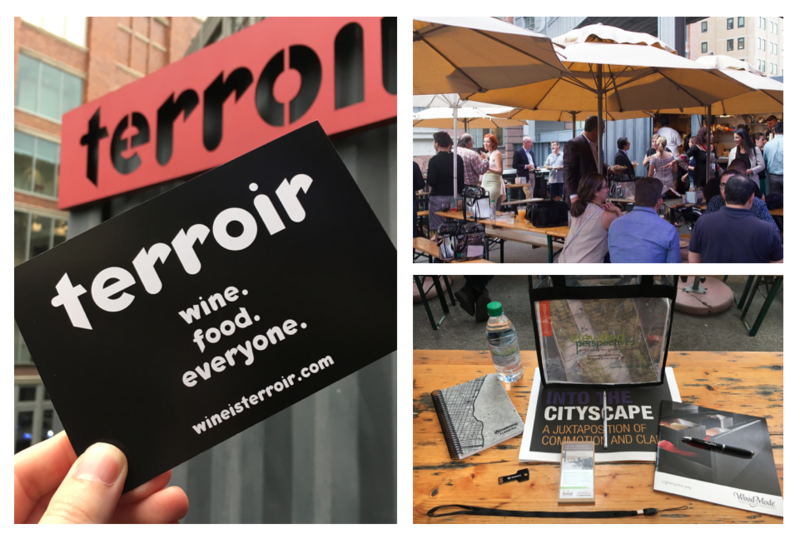 At the conclusion of the architectural we double backed and headed to Terroir on the Porch, an outdoor restaurant located directly on the High Line. Since we booked the entire space for our group, we had room to spread out, enjoy drinks and decompress after two miles of walking and talking. Terroir provided a full spread of delicious tapas dishes in addition to hand-picked wine and local beer. Sitting directly on the park, the location was lively yet relaxing thanks to views of the sunset over the Hudson River. This translated well to our mission of providing a semi-private dining experience where architects and designers could mingle with client representatives and media. And that’s exactly what happened. Our goal with Elevated Perspectives was quite simple. Create lasting connections between clients, influential specifiers and media outlets through organic conversations, special memories and shared love of architecture and design. With any event in New York City, we planned for possible logistical challenges along the way. But our team of expert event planners and problem-solvers were quick to ensure the event was seamless and provided impressive results. Not only were our guests thrilled with the evening, social media engagement was off the charts. The hashtag, #ElevatedPerspectivesAIA, was not only used across social platforms during the event but in the coming days as well. This resulted in a 5,517% increase in performance for all posts along with a 1,914% increase in reach on the Stoner Bunting channels. 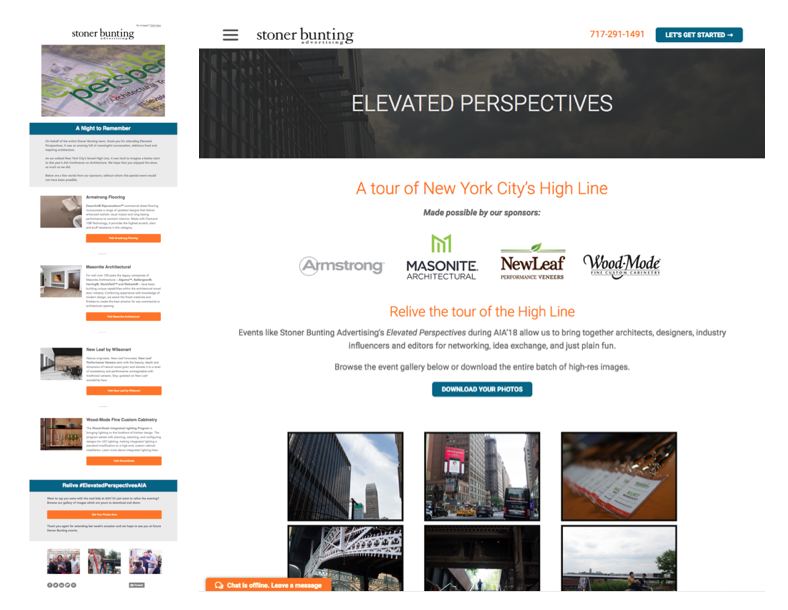 Posts including #ElevatedPerspectivesAIA were also shared by architects, designers, media and sponsors, gaining thousands of additional impressions and boosting exposure for our clients. 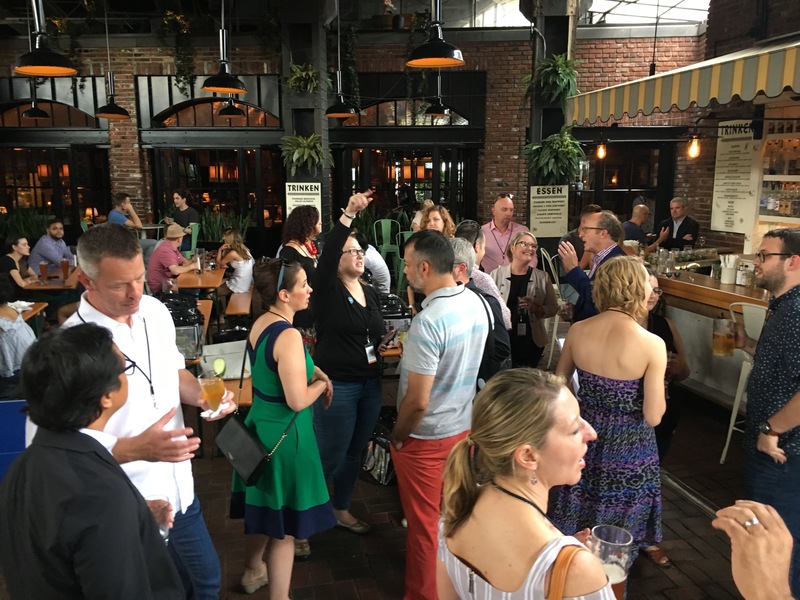 Many of these were shared, retweeted and favorited by other A&D professional who were unable to attend the event – extending the reach far beyond our followers. After the dust settled from the AIA Conference on Architecture 2018, we put together a special email thanking our guests on behalf of the Stoner Bunting team and our sponsors. The email drove recipients to a landing page that included more information and links to Armstrong Flooring, Masonite, Wilsonart and Wood-Mode, along with a large photo gallery from the event. Guests were encouraged to download high resolution photos of themselves and shots from the tour to use on social media and for their own memories. This was an added value that we were happy to provide on behalf of the team and the event sponsors. 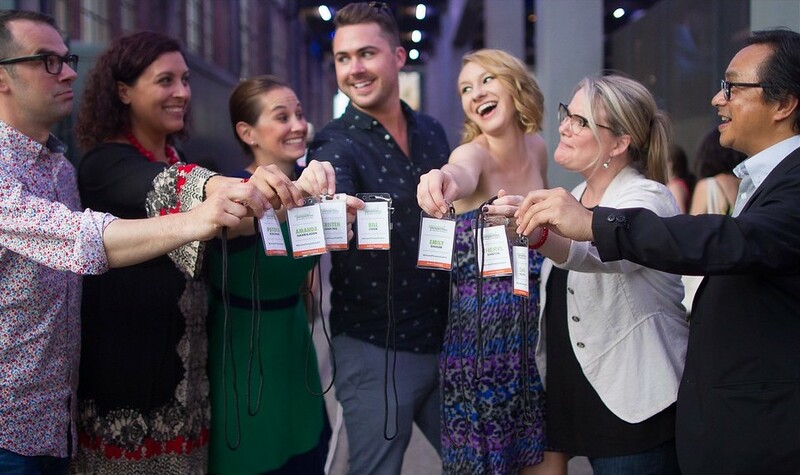 Events like Elevated Perspectives is what successful PR looks like. It’s creating value out of relationships, feelings, and other intangibles. It’s connecting great minds and thinkers from different backgrounds and fields. It’s figuring out a strategic way to create lasting, positive memories at a trade show where brands get lost like a needle in a haystack. If you’re ready to invest in public relations, modern marketing and integrated marketing campaign planning, contact us today. We’re ready to help.